Children have prefrontal cortexes that are not fully developed, and we’re changing the chemistry of the brain. That’s what these drugs do. It’s one thing if you have a real deficiency — the medicine is really important to those people — but not if your deficiency is not getting into Brown. Behavioral-finance expert Shlomo Benartzi thinks advisers should go one step further and ask their clients to sign “Ulysses contracts,” as he calls them: promises not to act hastily in volatile markets. Just as Ulysses had his crew tie him down so he could resist the Sirens’ deadly song, Prof. Benartzi, co-chair of the Behavioral Decision-Making Group at UCLA’s Anderson School of Management, would have investors promise not to overreact to sharp market moves in either direction. Analyzing Top 40 hits from the mid-1960s through the first decade of the 2000s, they find an increasing percentage of pop songs are written using minor modes, which most listeners—including children—associate with gloom and despair. "The networks have the ability to provide richer information such as behind-the-scenes content,…"
"The portion of Americans invested in the stock market dropped this year to its lowest level since…"
"In investing, you have “technical chartists.” They watch [stock] prices bouncing up and down,…"
In investing, you have “technical chartists.” They watch [stock] prices bouncing up and down, hitting what is called “resistance” at 30 or “support” at 20, for example. Chartists are looking at the data without developing fundamental explanations for why those movements are taking place—about the quality of a company’s management, for example. Among financial academics, chartists tend to be regarded as quacks. But a lot of the Big Data people are exactly like them. They say, “We are just going to stare at the data and look for patterns, and then act on them when we find them.” In short, there is very little real science in what we call “data science,” and that’s a big problem. "Twentysomethings are creating a new and potentially powerful housing pattern as they snap up…"
"Human performance, by this account, does not often fit the bell curve or what scientists call a…"
Out of more than 7,000 mutual funds, eight have bested the S&P 500 every year for the past decade. Seriously. Eight. "Cities force us to interact with strangers and with the strange. They pry the mind open. And that is…"
"But some of his most interesting work has to do with power dynamics. 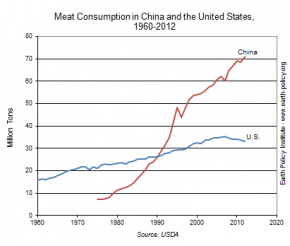 He says that by analyzing…"
China expected to eat more than twice as much meat as America this year. "Advisors must segment their clients. The percentage of RIAs who segment their clients into distinct…"
"an ecosystem of companies has emerged to serve independent advisors in essentially all areas of…"
"And that’s the other rule of the monte: if you can’t spot the sucker in the room, it’s you." "You see that in Instagram. It’s not a technology triumph. It’s a design and psychology triumph." "We definitely paid a lot of money to send him to a very good Catholic pre-K that has a very good…"
"He looks at his task and his tools, and allows his body to work without interference. Now that the…"
"Psychiatrist Dr. Edward Hallowell is a leading expert on ADD. … Hallowell suspects that some…"
"For the sorts of artistic, empathic, inventive, non-routine work people in North America are doing…"
"It’s time to stop bifurcating your content as blogs and news because they run on separate systems…."